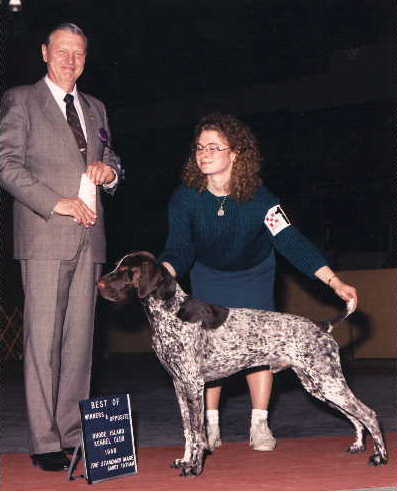 American Champion Von Pooh's Bold Marauder (Roscoe for short), is a German Shorthaired Pointer, and was born on April 15th, 1987. 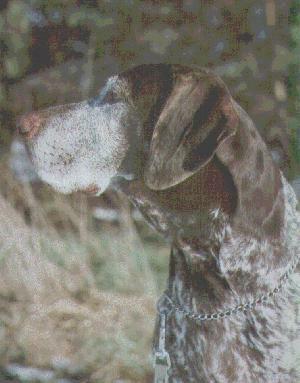 Roscoe's father was American/Canadian Champion Wenland's Matinee Idol and his mother was Champion Chances Are Gaela Von Pooh. 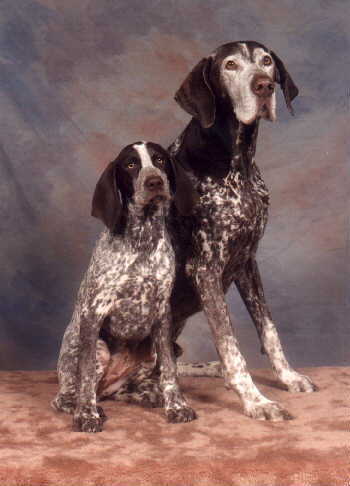 Roscoe won his championship in 1989 and was the number 26 German Shorthaired Pointer that year. After falling victim to old age, we decided that it was time for him to be put to rest, and it is with sadness we said goodbye to him for the last time. He had been ill for some time (at 15 years old, that made him about 110 in human terms). His back end was getting very wobbly, his breathing was suffering (especially in the high heat we've been having) and he was losing control of his bodily functions too. 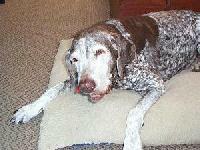 We had decided to have him put down so that he could peacefully end his life and prevent further suffering. We shall miss you, Roscoe.